Three companies, SpaceX, OneWeb and Boeing have announced ambitious plans to put thousands of Internet-service satellites in non-geostationary low-Earth orbit (NGSO) and other companies like ViaSat and SES are currently operating hundreds of communication satellites in medium-Earth and higher, geostationary orbits. With so many satellites orbiting in different planes and at different altitudes, there are bound to be frequent "inline events" when two satellites are simultaneously above an area both are communicating with — causing potential radio interference. 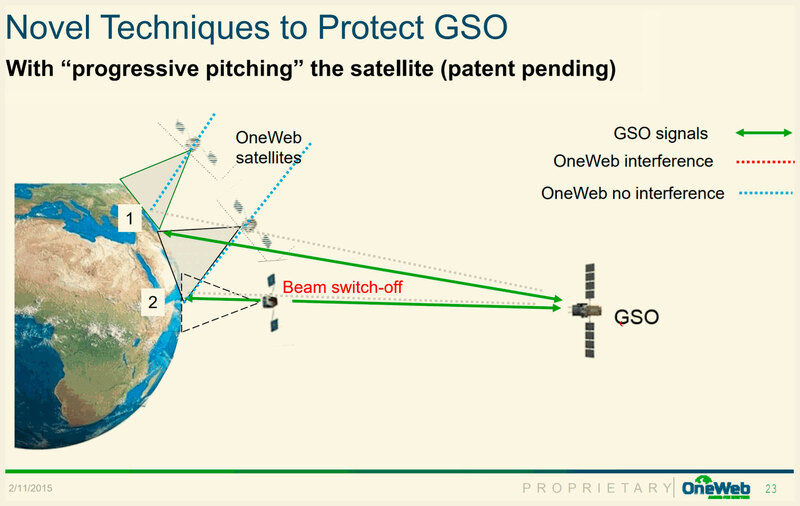 SpaceX has proposed that NGSO operators share data [FCC PDF Download] to indicate the steering angle of each beam within a satellite's footprint. 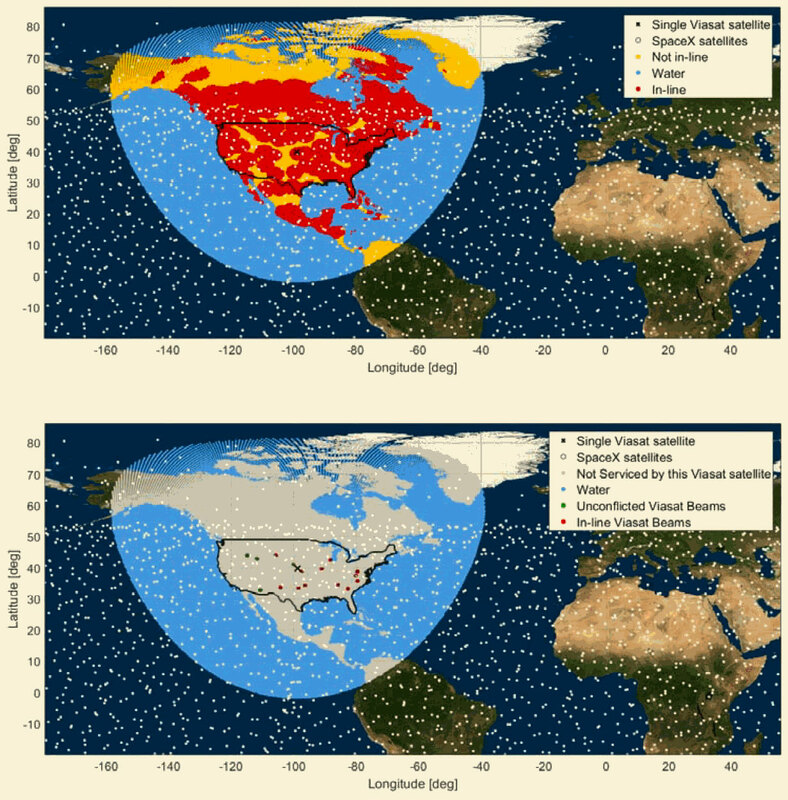 As shown below, they assert that this data sharing would drastically reduce the occurrence of inline events between their 4,425 satellites and a ViaSat geosynchronous satellite. This effort to enable efficient spectrum sharing by OneWeb, SpaceX, Boeing and operators of other satellites (and one day perhaps balloons, drones and other high altitude platforms) reminds me of the proposal for the Ethernet standard for local area networks by three companies — DEC, Intel and Xerox. A major difference, in this case, is that the Ethernet standard was adopted by a professional engineering organization and a satellite communication standard would be approved by the ITU, a United Nations agency. It may be too soon, but might engineers from OneWeb, Boeing and SpaceX one day define global standards for non-terrestrial spectrum sharing? Local Time: Tuesday, April 23, 2019 09:01 PM PDT – Page Load: 0.2968 Sec.